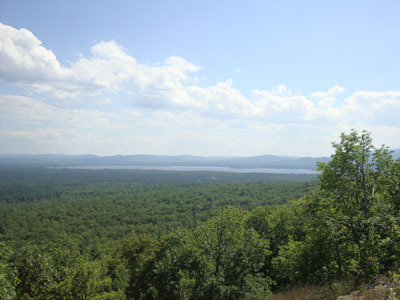 After driving near it a day earlier on my way back from Durgin Hill, I opted to head to Mary's Mountain for a quick jog. The trail was mostly dry and good shape. With the high pressure system moving in, the views were quite strong, ranging from Foss Mountain to the Ossipees. There were no bugs to speak of. 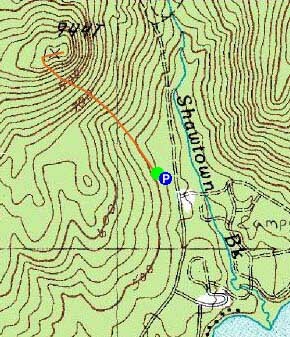 Directions to trailhead: Take Route 16 North from West Ossipee to Route 41 East. Take a right on Ossipee Lake Road. 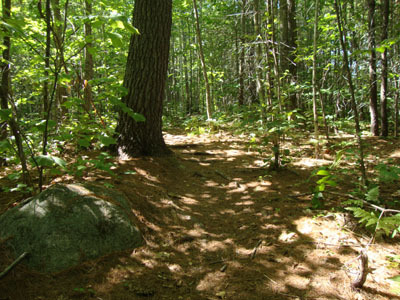 Head down this for a few minutes, then take a left onto Shawtown Road (Danforth Bay Campground sign). Go straight on this road, then take a left and park in the RV/day parking lot. 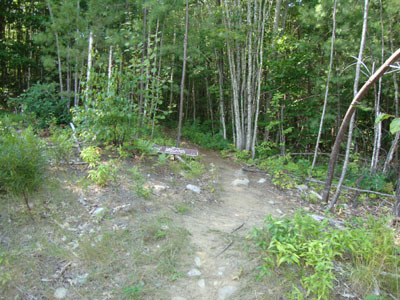 The Mary's Mountain Trail trailhead is located just above the northwest corner of the parking lot.